It's #WildWednesdays - a unified call-in day for wild horses! Supporters all around the country are making their voices heard for wild horses, and we need you to join them! In less than a week, a key House committee will decide whether the ban on slaughtering wild horses is removed from the 2018 budget bill. The lives of nearly 100,000 wild horses and burros are on the line. "I'm (your name), calling from (your town). 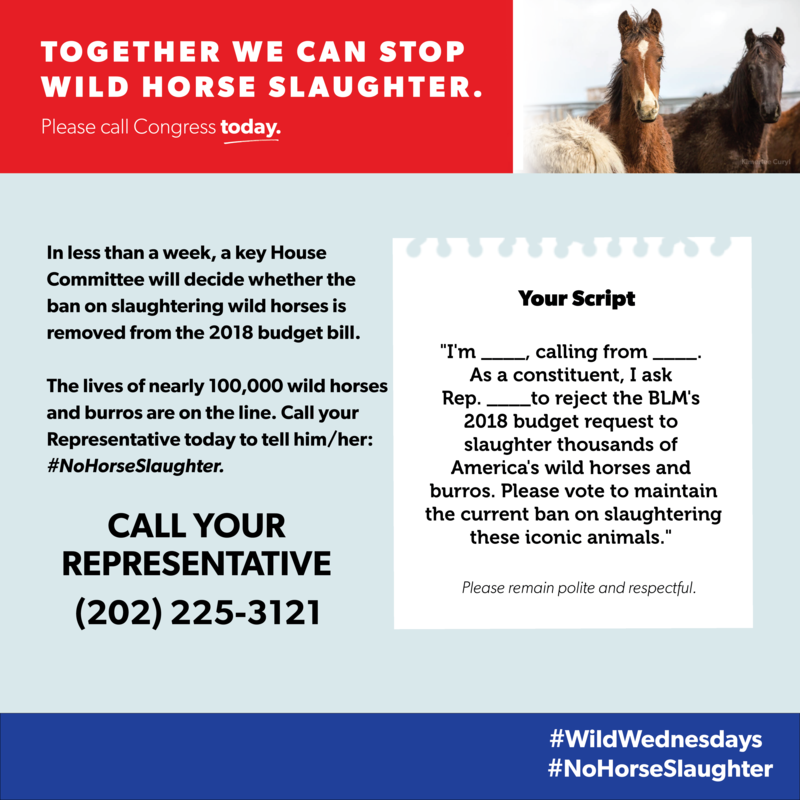 As your constituent, I ask Rep. (rep's name) to reject the BLM's 2018 budget request to slaughter thousands of America's wild horses and burros. Please vote to maintain the current ban on slaughtering these iconic animals." Please make a quick call right now - it will only take a minute and it can make a big difference!